how to connect ADC voltage divider? R1,R2 - 870Kom (I need low power consumption, because of battery powered device). So the resulting voltage measurements have dispersion around 0.4 Volt. When I log to console raw measurments in cycle, I can see real sinus. 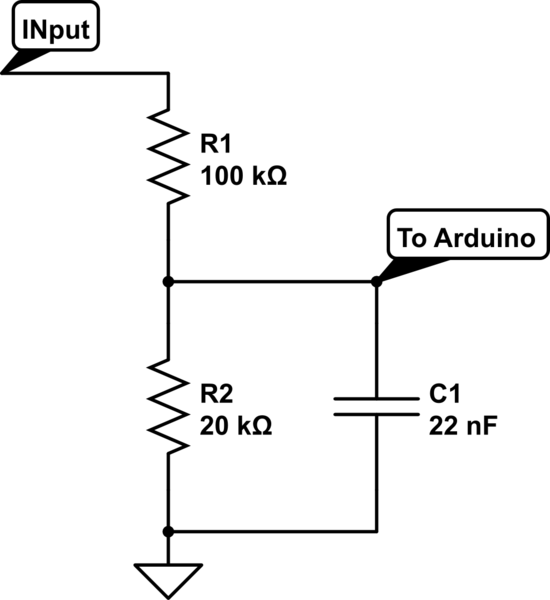 How to correctly connect voltage divider to ESP without such effects?